In February 3 2018 the Glen Cove Volunteer Emergency Medical Services Corps installed it’s officers for 2018-2019. Outgoing Chief Charles Valicenti was thanked for his service as Chief Andrew Carpenter was installed by Mayor Tim Tenke. Senator Carl Marcellino and the City of Glen Cove City Council were also in attendance to celebrate the newly installed officers. Special guests were recognized for their service to the Volunteer Corps, for going above and beyond for the betterment of Glen Cove EMS. Mary and Sal Guastella were presented with a Certificate of Appreciation for their generous donation of time and services during 2017 EMS Week. Selena Guastella and Peter Shanhai, both employees of Glen Cove EMS, were inducted as Honorary Members to the Volunteer Corps, for their work contribution to the Corps through the running of Explorer Post and training sessions held throughout the year. Members receiving their years of service awards were also honored. in july of 1985, the Glen Cove volunteer Emergency service Corps WAs organized. Prior to the summer of 1985, emergency ambulance service in the City of Glen Cove was covered by the Glen Cove Police Department and the Glen Cove Special Police (now known as the Glen Cove Auxiliary Police). In 1984, concerned citizens who were emergency medical technicians, approached the Mayor & the City Council and presented the idea for a dedicated emergency medical services for the City. After thorough planning, recruitment and training, the Corps was organized. 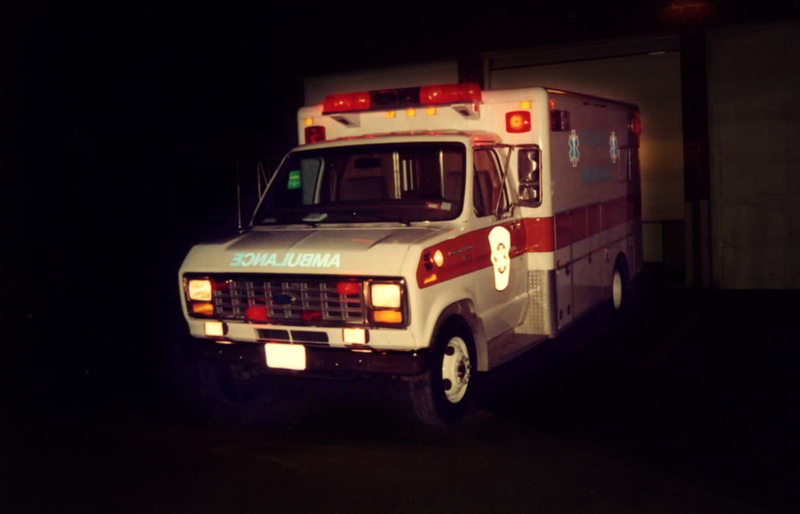 The ambulance pictured above was one of the new apparatus put into service in October 1987.